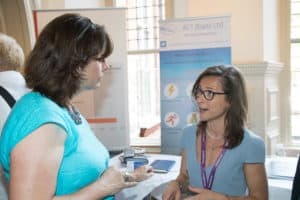 Last Tuesday, on the 20th of June, our CEO Sabrina Malpede met with Claire Perry at the Rushlight Summer Showcase in London. Claire was recently appointed Minister of State at the Department for Business, Energy and Industrial Strategy. ACT Blade is pleased to hear that she is very positive and supportive of the cleantech sector as well as of cross-over innovation, of which ACT Blade is an example. We’d like to thank her for her time and interest in ACT Blade Ltd.